Putting this here since I personally found it helpful though it’s not that innovative really. Haha! So I used to be religiously applying A Bonne Spa Milk Salt on my body every after bath when I was still a site engineer. 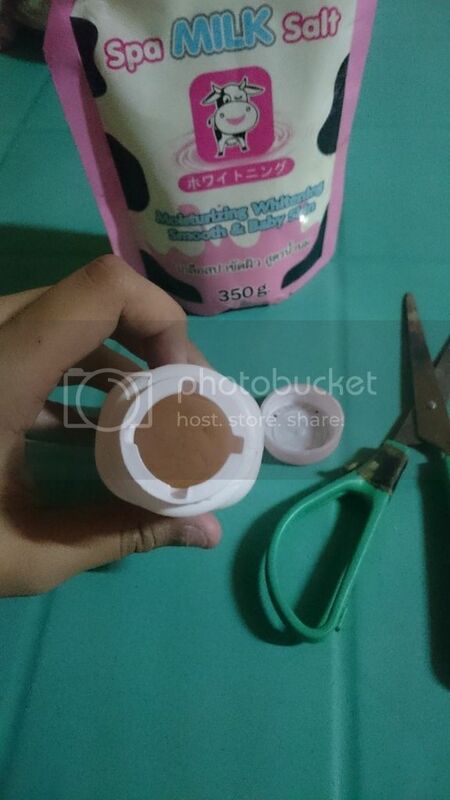 This product really makes my skin feel softer and smooth with every use. But the time came that I have to hurry to work because traffic is really not helping in my everyday transportation hence, I scratched using this bath salt from my daily bath regimen to save time. Since I find it time consuming because I let the salt set for about 3-5 minutes. Add to it the unnecessary amount of salt that comes out of its container that I sometimes had to put back which takes even more time. 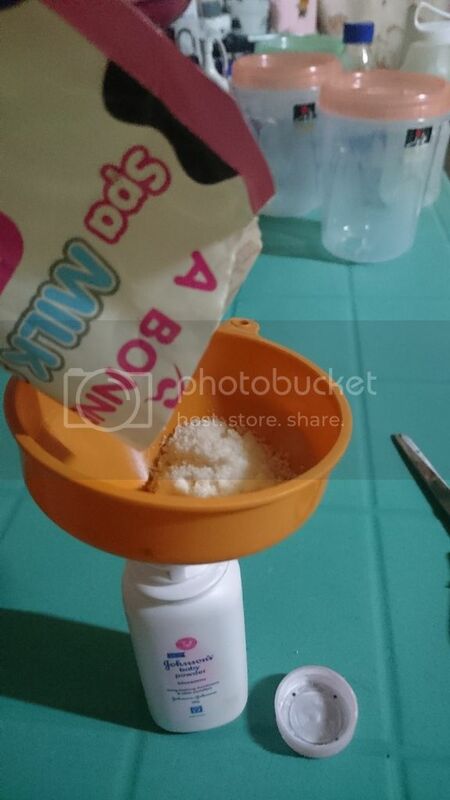 But I miss the softness of my skin whenever I am using A Bonne Spa Milk Salt so after weeks of not using it, I figured out a way to have it squeezed back in my daily bath regimen again. 1. 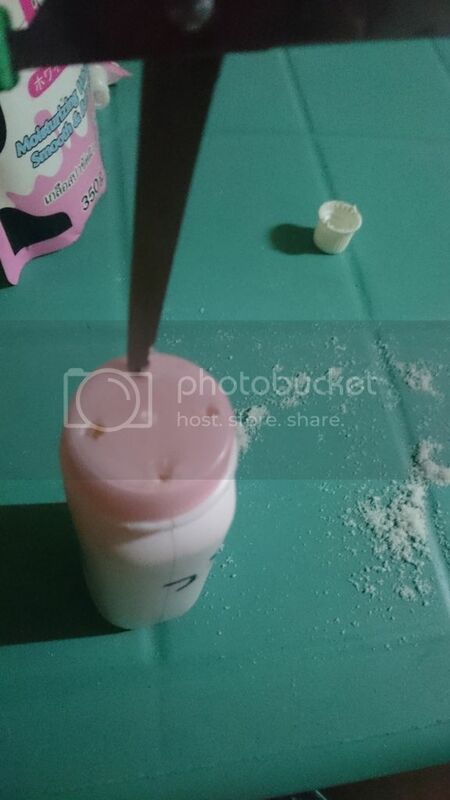 Remove baby powder residue from the bottle. 2. 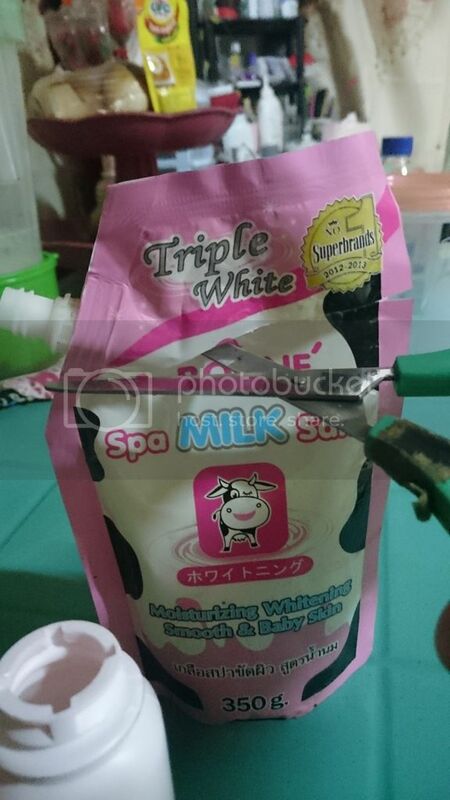 Cut the A Bonne Spa Milk Salt pack open. 3. 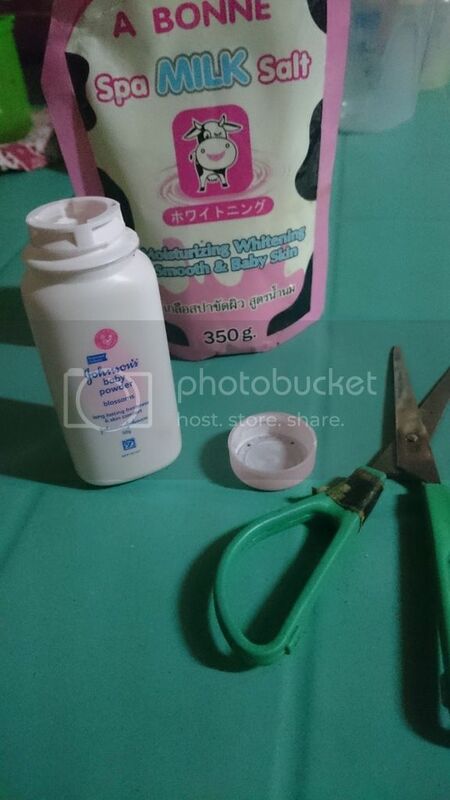 Using the funnel, transfer the A Bonne Spa Milk Salt at the baby powder bottle. I know, a fifth grader can do better but hey, I just used what’s available at that exact moment when I really wanted to make use of my bath salt again and came up with this.